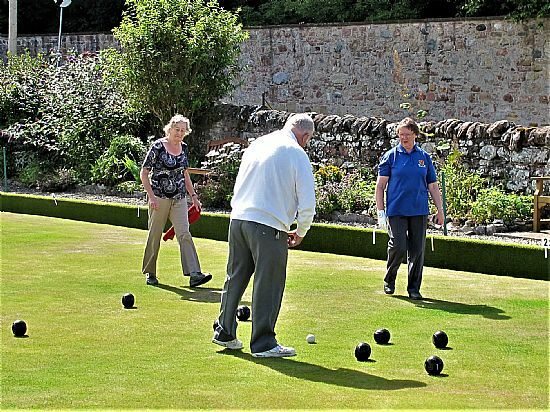 Cromarty Bowling Club hosts two open competitions each year - namely the Ross-shire Ladies' Singles and the Cromarty Pairs. 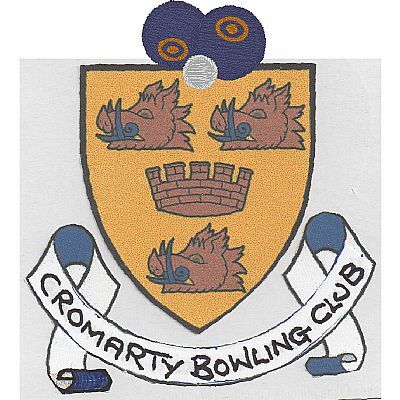 In 2019 Cromarty is also the host for the Black Isle Pairs held in the week commencing 6th May. Fiona Graham from Dingwall was the 2017 winner of the Ross-shire Ladies' Singles, retaining the title from 2016. The runner up was Mairie Gallie from Milton. 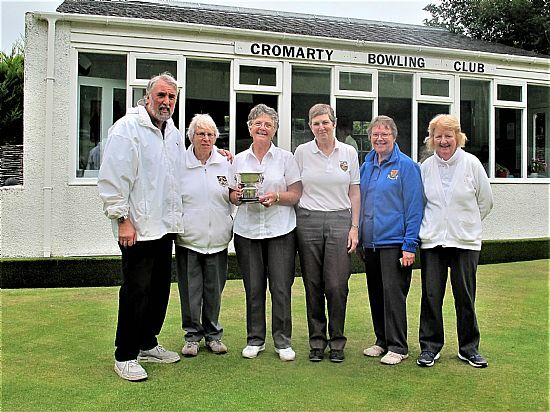 Photo from left to right: Alex Wilson (Club President); Heather Stewart (Umpire); Fiona Graham from Dingwall (winner); Mairie Gallie from Milton (runner-up); Helen Fraser from Cromarty (semi-finalist); Ann Alcorn from Muir of Ord (semi-finlaist). 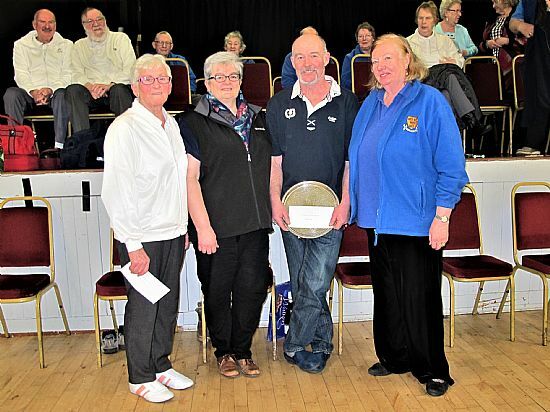 The 2018 Cromarty Pairs competition was held on 15th Seprtember 2018 and was won for the second year running by Andrew Munro and Mike Ross from Fortrose BC. 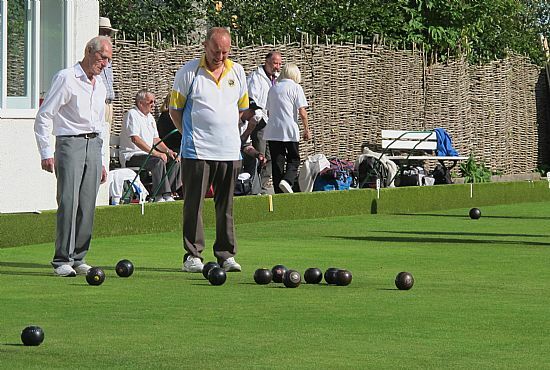 As well as open competitions there are several competitions throughout the season for members of the Club. 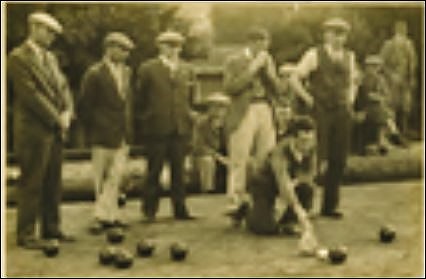 The Club is a member of the Northern Bowling League. League fixtures are played on Monday evenings from mid May until the end of July. 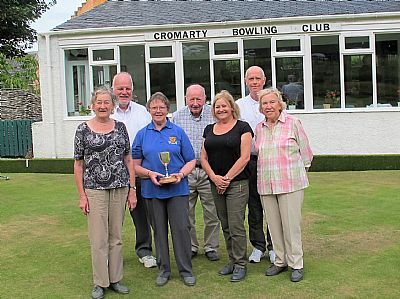 The Cromarty Ladies competition was held on 15th August and won by Helen Fraser. 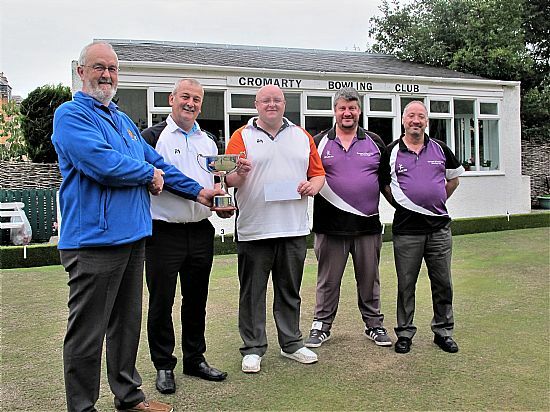 The inaugural Cromarty Indoor Open triples competition was held on 26th January 2019. The winners were Katie Sutherland, Sherrie Mackenzie and Alister Mackenzie (skip) from Rosemarkie. Club President, Evelyn Wilson donated and presented the trophy. Pam Thompson and Helen Fraser in the final match of the 2017 Wm Hourston competition. The marker was Alan Hunter.